Evinrude Motors would like you to think about the next six years. What will you be doing in six years? You will probably have 25 hair cuts. Driving 15000 miles per year, a new car would rack up 90000 miles. A brand new cell phone will be obsolete. Your Evinrude outboard will still be under warranty. Seven years! A baby born now will be in 1st grade. Children 12 years old will be adults, probably graduating high school. 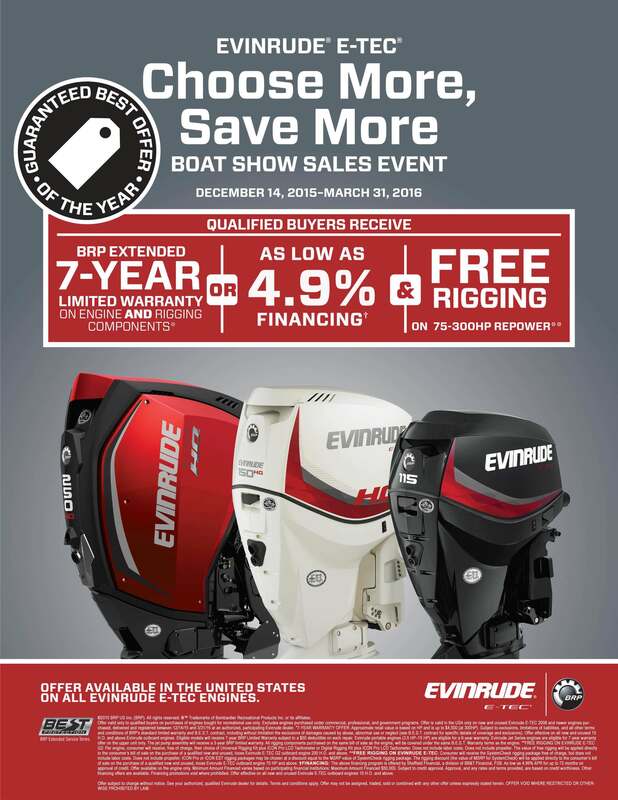 Evinrude's non-declining warranty...still in effect. Your favorite Hollywood stars will divorce, remarry, and divorce several times. Politicians will still be dishonest. You might have to pitch out your favorite pair of worn out jeans. But in six years, you probably wont be able to recount all the great boat trips and adventures you've had, courtesy of your Evinrude outboard...still under warranty.